I wanted to display another new addition to my Floral/Still Life Gallery that also came from the Arizona Territorial Rose Garden Photo Shoot I posted about in November from Prescott, Arizona. With this print I created the single rose bud using a gothic oil technique that creates an old world look with the earthen color tones. The look is totally different than the watercolor rose I posted last week, but each brings its own unique look between the two totally different techniques. Thoughts? 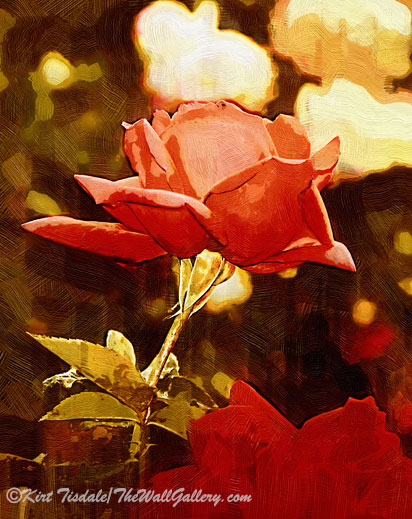 This entry was posted in Art Prints and tagged artist kirt tisdale, floral, flowers, gothic oil, interior design, online art gallery, Rose, rose bloom, rose bud on February 27, 2017 by Kirt D Tisdale. Soft Rose Bloom In Red And Purple is a wall art print I created using a soft watercolor technique. 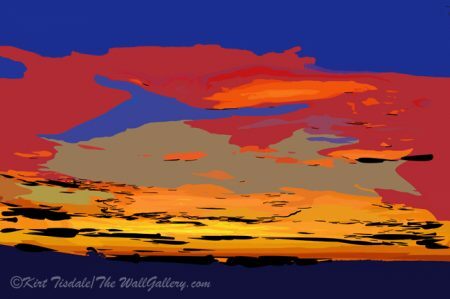 This technique creates defined lines that compliment a soft watercolor look. 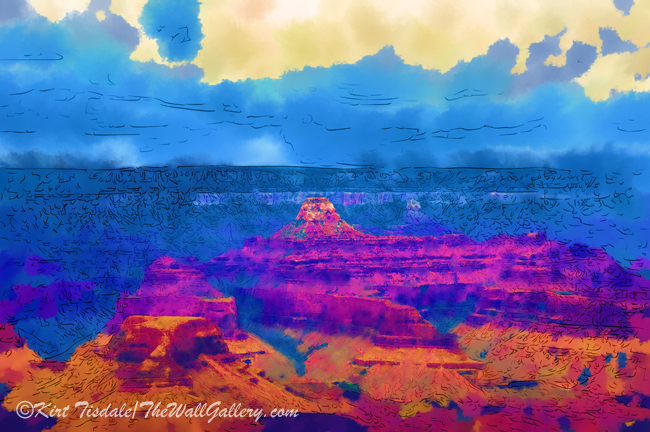 This print was just added to my Floral/Still life Gallery and was inspired by my photo shoot of rose blooms in the Arizona Territorial Rose Garden located on the grounds of the Sharlot Hall Museum in Prescott, Arizona. Thoughts? 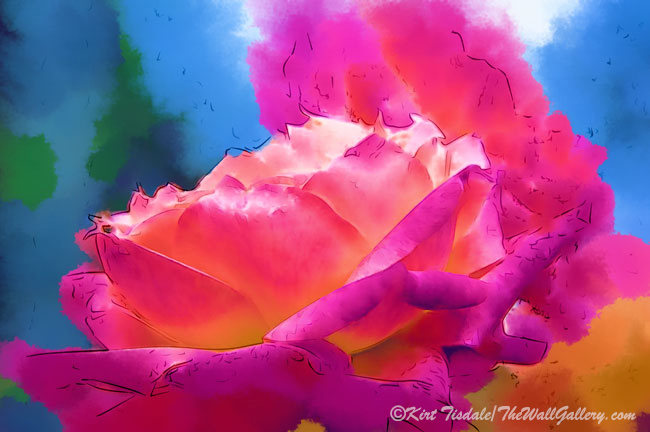 This entry was posted in Art Prints, Watercolor Painting and tagged artist kirt tisdale, floral art, online art gallery, rose art, rose blooms, rose garden, watercolor art on February 21, 2017 by Kirt D Tisdale. I was on a quick two day road trip this week with my son-in-law traveling from Phoenix to Seattle. We had a short time frame to meet, so we had two very intense driving days to get up to Seattle (the good news for me, I flew back to Phoenix, so only had the drive one way). 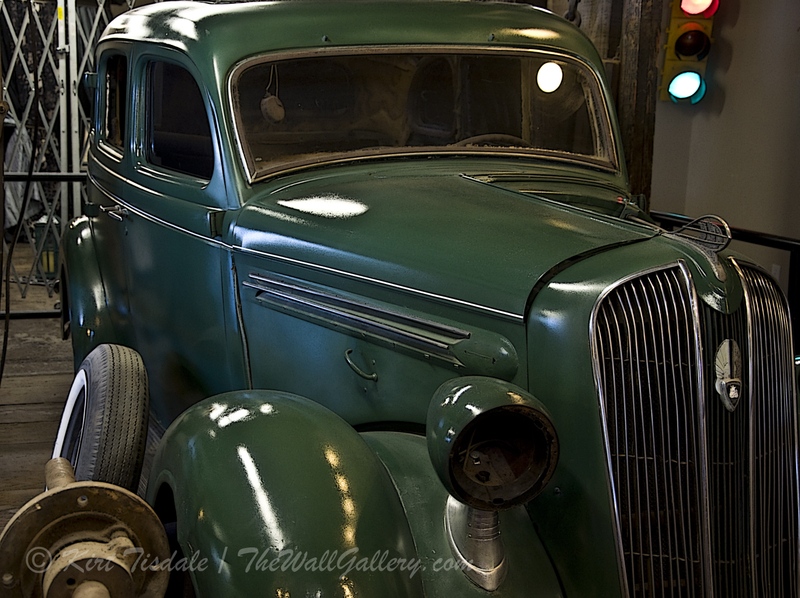 Anyone that follows my blog knows that I never go anywhere without my camera….you just never know!! 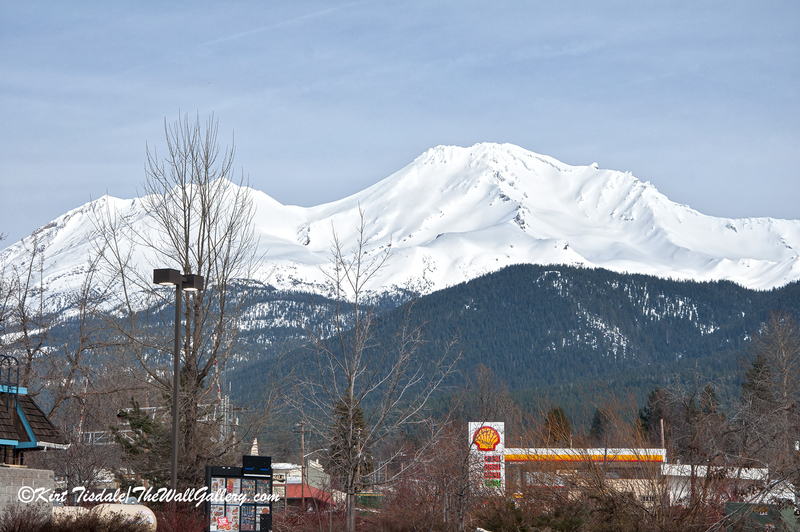 Because we had such a tight timeframe, there really wasn’t much opportunity to stop and take pictures, but I was able to grab some shots of Mt Shasta when we stopped for breakfast in Mount Shasta, California. With the amount of moisture that has been hitting the western US (much needed for California), the amount of snow on Mt Shasta was incredible, as you can see by the pictures. 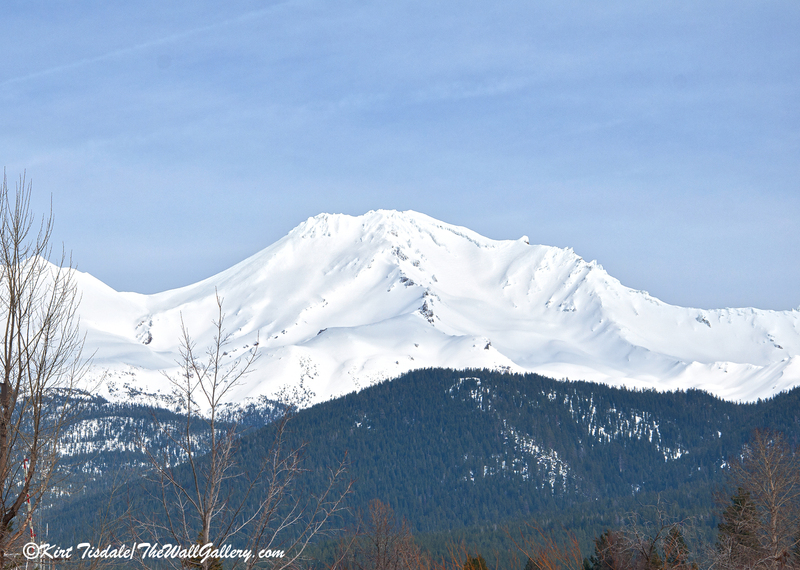 Tidbits about Mt Shasta: It is a volcano that sits on the southern end of the Cascade Mountain Range in Northern California and has an elevation of 14,179 ft. It last erupted in 1786. Upon arriving back home and reviewing the shots, I thought that part of the series I hurriedly took would make a great example of framing a shot either while you are taking a picture or afterwards if you have the right software. This first capture I created using the zoom feature of my lens to frame the shot. I was standing in a parking lot right outside of the restaurant. This capture gives you the look and feel of what I was actually seeing in my line of site…..again, the first shot was my zoom lens framing the shot above the Shell gas station (notice the tree branches that were in the first shot). Another approach if you don’t have a strong zoom lens or just didn’t use it, is this method. This capture is from the second shot….I cropped it in Photoshop to eliminate the “street noise” of the other picture. I think both methods created the final image that I was looking for. Thoughts? 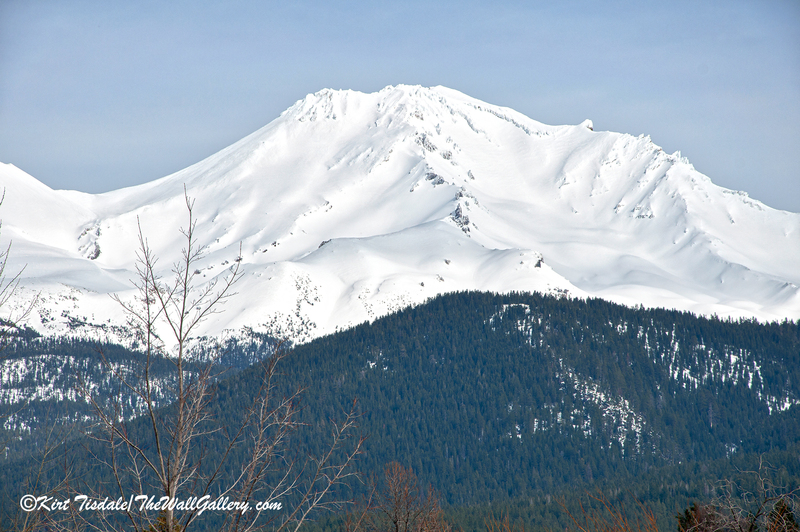 This entry was posted in Art Prints, Color Photography and tagged california, cascade mountain range, landscape photography, mount shasta, mountains, online art gallery, photographer, snow, volcano on February 15, 2017 by Kirt D Tisdale. Issaquah Train Station – from my Color Photography Gallery is a color photograph wall art print of train tracks running in front of the Issaquah, Washington train station. The setting is Issaquah, Washington during the fall color changes. The amount of trees throughout this eastern suburb of Seattle that turn vibrant colors in the autumn is spectacular. The brilliance of this autumn display becomes the focal point this time of year with the natural pines that cover the mountain slopes nearby as a steady green backdrop. Since I shoot in RAW format, I was able to sharpen and deepen the contrast and details to give this shot strong depth throughout the entire frame. I love pictures that take a subject and visually follow it into “infinity” such as the tracks in this shot! Thoughts? 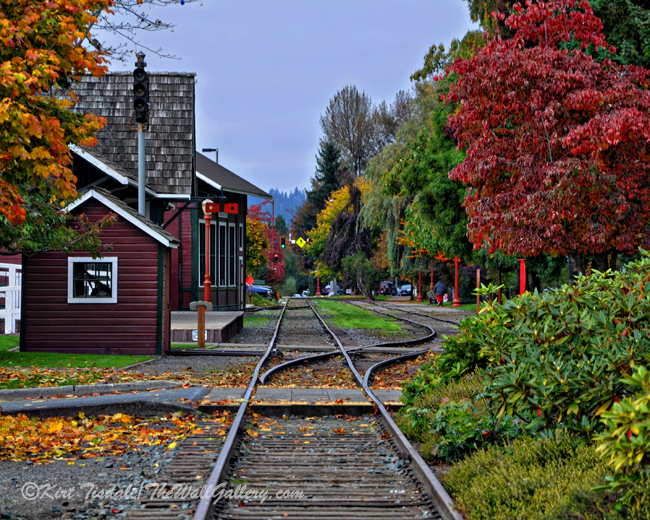 This entry was posted in Art Prints, Color Photography and tagged autumn colors, autumn foliage, Issaquah Railroad Station Museum, issaquah washington, kirt tisdale, online art gallery, photographer, train station on February 5, 2017 by Kirt D Tisdale.